Byrrill Creek - No Dam Way! This area is sublimely beautiful. 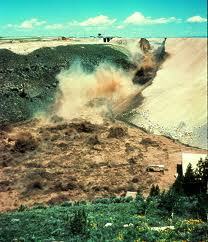 We simply CANNOT let a dam be built here! 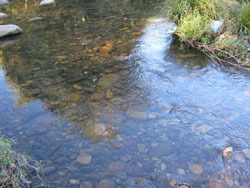 How many creeks in Australia still have crystal clear running water in their creeks or rivers? How many areas have such a diversity of native fauna and flora as at Byrrill Creek? •	Byrrill Creek is a high riparian conservation status area. Tweed Vegetation Management Strategy allocated the area High Conservation Status 2 (considered rare) comprising less than 0.7% of all bushland, with most of the best examples within Byrrill Creek. A total of 400 ha would be clear felled. •	It is unnecessary to have a dam in an area of high rainfall. •	Tweed Shire has been christened ‘The Green Cauldron.’ Our high conservation area would be lost to future generations as a place of beauty and a tourist destination if it was dammed. 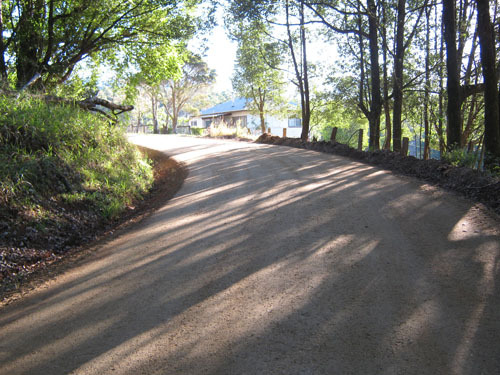 Residents & tourists could no longer travel in a scenic circuit around Mt Warning as there would probably be no access including the shortcut by locals from Byrrill Creek to Tyalgum. •	There has never been any public consultation. Recommendations from the Community Working Group (CWG) were ignored by Tweed councillors. •	According to Dr Steve Phillips of Biolink, this area is core koala habitat. •	A dam would inundate Aboriginal Heritage sites on Council land. •	Toxic chemicals (many now banned) from 2 abandoned dip sites in the catchment area may have leached into the surrounding soil and therefore would ultimately pollute the dam water. Additionally, Tweed council land was sprayed with 24D and 245T (active constituents of Agent Orange) for years around 1984 and may have residual effects in soil and water quality. •	A dam would be a barrier to fish, eels, platypus, turtles and other aquatic species & interrupt migration and breeding patterns. The endangered Giant Barred Frog have spread down the Tweed River from Byrrill Creek. Therefore construction of a dam would eliminate this species' breeding pool. •	Already $1,000,000 ratepayers’ funds have been wasted by Tweed council on dam studies. •	Tillegra dam cost increased by 59% in 3 years yet was still canned. While a big dam at Byrrill Creek is estimated at $67.3 million, costs could very quickly escalate as they do with other dams. •	Considerable opposition has been expressed by the Residents Associations of Tweed, Murwillumbah, Pottsville, Hastings Point, and Uki (representing 70% Tweeds population). Letters from these organisations were presented to Council strongly objecting to a dam at Byrrill Creek. Additionally, 5,000 petition signatures were collected in 3 weeks and tabled in the NSW Upper House. Tweed's population is estimated to double due to several large housing estates being constructed on the coast. For example Kings Forest is planning for 15,000 people, Cobaki Lakes about the same. Unfortunately neither of these developments have water-saving incentives in place. You have to wonder why Tweed councillors are so determined to have a dam at Byrrill Creek. We could speculate that they have friends in the construction industry or that they are thinking the Gold Coast might have a drought in the future and we could sell them our surplus water, providing more income for council. Who knows? Since the pros are far outweighed by the cons, dams could be replaced by sustainable options (large rainwater tanks, grey water recycling, dual reticulation, stormwater harvesting, wise water use etc). All new developments such as Cobaki Lakes, Kings Forest, Terranora E, Bilambel Heights and so on) should be self-sufficient water-wise. Dams are just not the best option to meet long-term water supply needs of the shire. While initial setup costs may be high, still the long-term cost is far less than a dam that has a lifespan of approximately 50-100 years. In this way, our natural environment, habitat for threatened species, would be protected, averting localised extinctions and preserving our natural heritage for future generations. •	Precautionary principle – Uncertain if threats of serious or irreversible environmental damage could be minimised to acceptable level. •	Best professional advice from Tweed Council Water Staff, Community Working Group, NSW Dept of Environment, Climate Change & Water (DECCW) and National Parks recommended against a dam at Byrrill Creek. •	Probably won’t be approved under the Threatened Species Conservation Act 1995 and the Environmental Protection and Biodiversity Conservation Act 1999 and the Environmental Planning and Assessment Act (not adequately considering input from the community). Truly, Byrrill Creek is a National Treasure. We must not allow greed, ignorance and human stupidity to destroy it.